Dexcom Inc.’s (DXCM) stock has risen over 60% over the past year, easily topping the S&P 500’s return of 10%. The company has seen explosive sales growth over the past three years on the strength of its glucose monitoring systems for people with diabetes. It could be one reason why investors were piling into the stock in the fourth quarter of 2018. The stock was included in the WhaleWisdom WhaleIndex 100 in the middle of February. However, shares are nearly 22% off their 2019 highs and have fallen particularly hard since the middle of March. That was when Spruce Point Capital Management issued a negative report on the company. 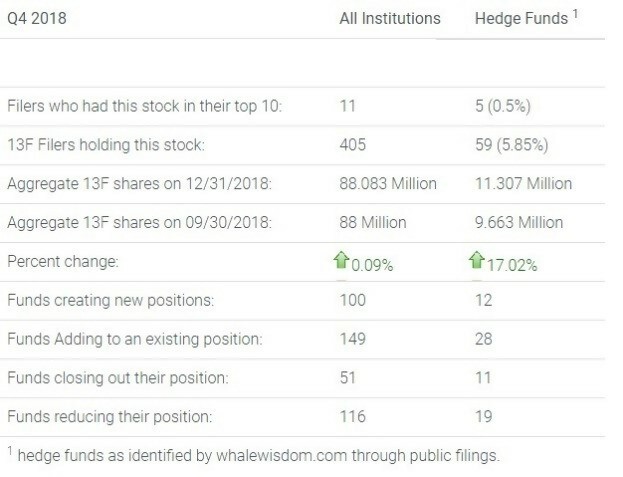 During the fourth quarter, hedge funds bought the stock with the total number of 13F shares increasing 17% to 11.3 million from 9.6 million. Twelve funds created new positions for the stock, while 28 added to existing positions. That was in comparison to 19 funds that reduced their holdings and 11 that liquidated them. Overall, the total number of shares held by institutions increased by less than 1% to 88.1 million, up minimally from 88 million shares. 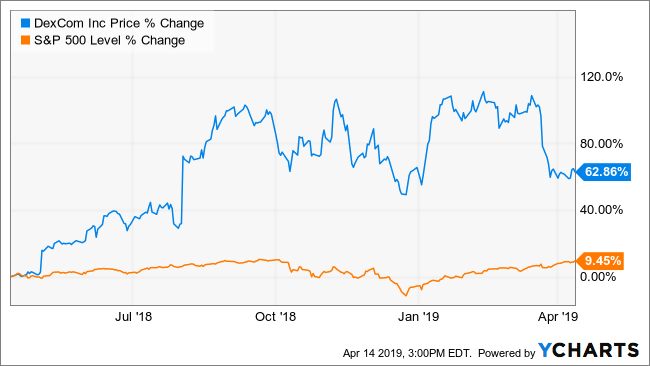 Analysts’ estimates currently suggest that Dexcom’s success will continue well into the future. Revenue is forecast to increase by 66% over the next three years to $1.7 billion in 2021 from $1.03 billion in 2018. That is an 18.5% compounded annual rate of growth during that time. 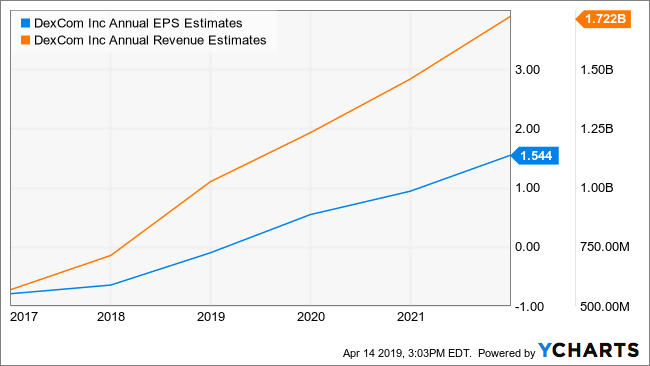 Earnings growth is expected to be even faster, rising by as much as fivefold to $1.54 per share by the year 2021, up from $0.30 in 2018. It comes to a compounded annual growth rate of 73%. Despite the rapid earnings growth, the stock is currently no bargain, trading with a one-year forward PE ratio of 126.5. Even when adjusting the stock for its forecasted earnings growth rate, the stock trades with a PEG ratio of 1.7, which is considered high. Typically, a stock is considered fairly valued when it has a PEG ratio of around 1. It makes it particularly risky should the company’s results miss those lofty expectations. One can easily see why hedge funds were buying the shares during the stock market plunge in the fourth quarter. However, one can also understand why the stock has struggled in 2019 due to its valuation. It will likely leave the stock in a period of heightened volatility as the bulls and the bears battle this one out. This entry was posted on Monday, April 15th, 2019 at 8:34 am and is filed under Hedge Fund News, Stock. You can follow any responses to this entry through the RSS 2.0 feed. Both comments and pings are currently closed.